The Danube at night, Budapest October 2003. The Chain Bridge could easily take the title for the most beautiful bridge in the world. 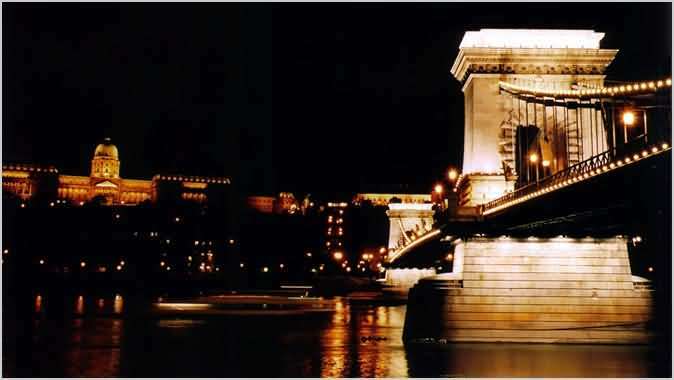 With floodlights stretching over the length of the bridge, it is one structure that can't be missed along the Danube. Complimenting the bridge with illuminated Buda Castle and Matthias Church, one could be forgiven for thinking this is a scene in Paris (myself included).